After 13 years, Land Rover Discovery nameplate returns to the U.S. in mid 2017. 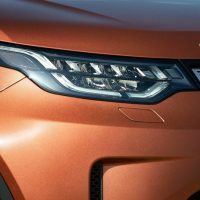 The new Discovery will be lighter, longer, wider, and slightly more powerful than the current model. 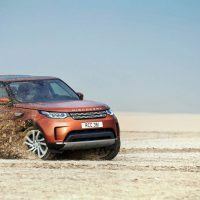 The 2017 Land Rover Discovery was previewed by the Land Rover Discovery Vision concept at the 2014 New York Auto Show. With a new Defender in the works to handle extreme off-road duties, the Discovery has been repositioned as a premium family hauler rather than a body-on-frame off-roader. 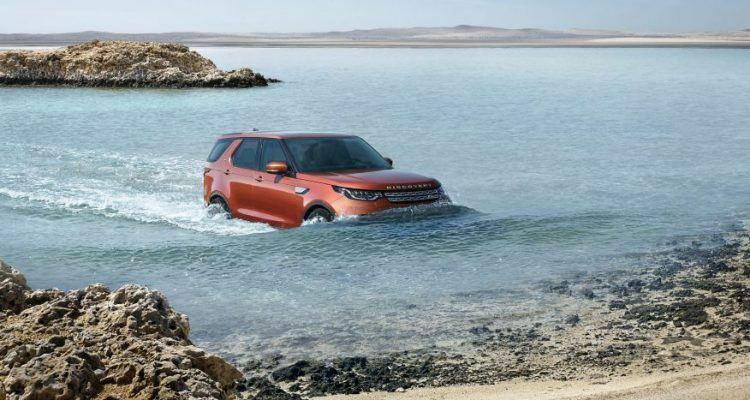 Compared to the current Discovery, or the LR4 in the U.S., the new model’s ground clearance increases to 11.1 inches and the wading depth increases to 35.4 inches. The Discovery rides on Land Rover’s aluminum-intensive Premium Lightweight Architecture (PLA) chassis, which it shares with the Range Rover and Range Rover Sport. 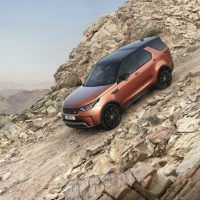 Like its Range Rover cousins, the Discovery ditches the heavy ladder frame and moves to unibody construction, which Land Rover claims results in a weight reduction of approximately 1,000 pounds. For comparison, the current LR4 tops the scales at a whopping 5,941 pounds. 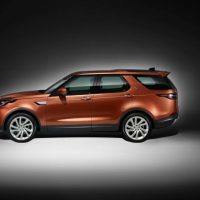 The 2017 Land Rover Discovery will be available with two 3.0 liter V6 engines. 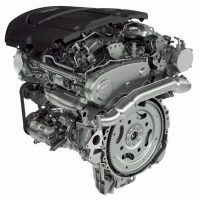 The base engine is a supercharged 3.0 L petrol unit with 340 horsepower and 332 lb-ft. of torque. The optional engine is a Ford sourced turbo-diesel (TD6) with 254 horsepower and 443 lb-ft. of torque. 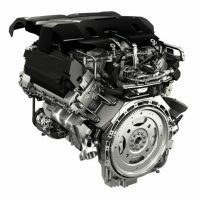 Both engines are paired to an eight-speed automatic transmission and send power to all four wheels. In Europe, the Discovery will be available with two additional four-cylinder diesel engines as well. In the Discovery, the full-time four-wheel drive is available with either a single-speed Torsen center differential, with 42/58 front-to-rear torque split or an optional two-speed transfer case, splitting the torque evenly front-to-rear. Like the two Range Rover models, the Discovery is also fitted with Land Rover’s All-Terrian Progress Control, which essentially is a low-speed off-road cruise control. Coil springs are standard on the new Discovery, and air suspension is optional. However, the range-topping model gets air suspension as standard. The air suspension automatically lowers the Discovery by 1.6 inches when the doors are opened. With the push of a button, the Discovery can be lowered further to a maximum of 2.4 inches from the standard ride height, or can be raised by 3 inches for additional ground clearance. 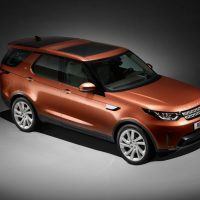 Unlike the boxy LR4, the design of the new Discovery resembles that of the smaller Discovery Sport. 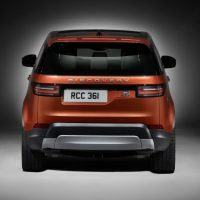 Some of the design similarities between the two models include the shape of the c-pillar, the clamshell hood, the body-side grove which runs rearward from the front fender vents, and the way “DISCOVERY” is spelled on the leading edge of the hood and the tailgate. The windshield is more aggressively raked compared to the LR4, and the taillights are now positioned horizontally instead of vertically. 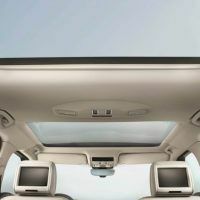 The new Discovery also ditches the rear quarter glass which extends into the roof. The only remaining design elements from the LR4 include the faintly stepped roofline and the asymmetrical license plate housing. The new, more aerodynamic design drops the coefficient drag to 0.35 from 0.40. 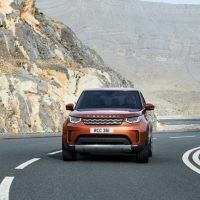 At first glance, the new Discovery might look smaller than the current LR4, but in reality, the overall length of the new SUV increases by 5.5 inches and the wheelbase extends by 1.5 inches. However, the roof height decreases by 1.6 inches. Depending on the trim level and selected options, the Discovery can be fitted with rims ranging in size from 19 to 22 inches. The 2017 Land Rover Discovery with the optional Dynamic Design package gets unique wheels and bumpers; blacked out grille, mirror caps, and hood letters; and either a black or gray roof. At the rear, the Discovery does away with the LR4’s two-piece, asymmetrically split tailgate in favor of a single piece hatch. 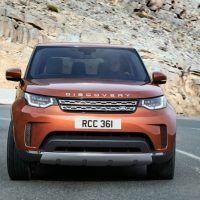 The Discovery’s project engineers claim the change improves the quality of the vehicle and allows for a larger opening of the hatch. With the tailgate gone, the Discovery now sports an inner drop-down tailgate panel, which is hinged at the floor and drops down when the liftgate is opened. The optional inner tailgate panel supports up to 300 pounds and is power operated. 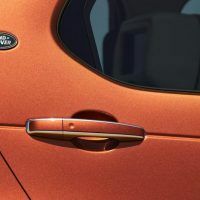 The tailgate drops automatically when the liftgate is opened with the key-fob remote; however, when opened with the outside handle, it remains upright, but can be lowered via a button inside the hatch. Besides the tailgate drop-down button inside the hatch, there are additional buttons that can raise/lower the vehicle’s air suspension and fold the second and optional third row seats. The 60/40 split second-row and 50/50 split third-row seats can also be folded via a smartphone app or through the dash mounted touchscreen. The optional Activity Key wristband locks and unlocks the vehicle even when the key-fob is left inside the car. The 10.2-inch screen replaces many hard keys in the center console, but the volume knob remains intact. 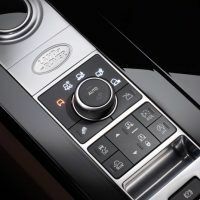 Below the touchscreen, you will find Land Rover’s familiar HVAC control panel with three large knobs, which can be lifted to reveal one of many storage spaces inside the cabin. 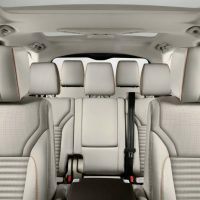 The Discovery also includes LATCH anchors for up to four child seats; two on the outer second-row seats and two in the third-row seats. All three rows of seats are heated, there are nine USB ports, and six 12-volt outlets throughout the cabin. 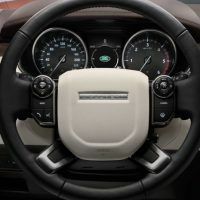 The cabin layout follows Land Rover’s current design theme which features a two-piece dash, bisected horizontally by a thin strip of wood or aluminum, front seats with attached fold-down armrests, door panels topped by wide sills with integrated window switches, and Jaguar Land Rover’s dial gearshift. Unlike some interiors, which are either black or beige, the Discovery’s interior can be covered in one of five color schemes. The 2017 Land Rover Discovery goes on sale in the U.S. during the middle of next year, and will kick off with the fully loaded First Edition models, available in black, silver, or orange. After that, the Discovery will be available in either SE, HSE, or HSE Luxury trims. The base SE with V6 petrol engines start at $50,985. The HSE with a petrol V6 starts at $57,945 and an HSE with a diesel V6 starts at $59,945. The range-topping HSE Luxury with the petrol V6 starts at $64,945 – the V6 diesel engine is an additional $2,000. Finally, the 529 First Edition models command a price tag of $74,945, but come fully loaded with all the options and safety features imaginable. 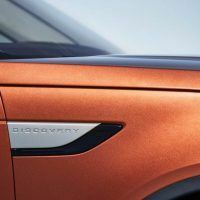 No Comments on "First Look: 2017 Land Rover Discovery"